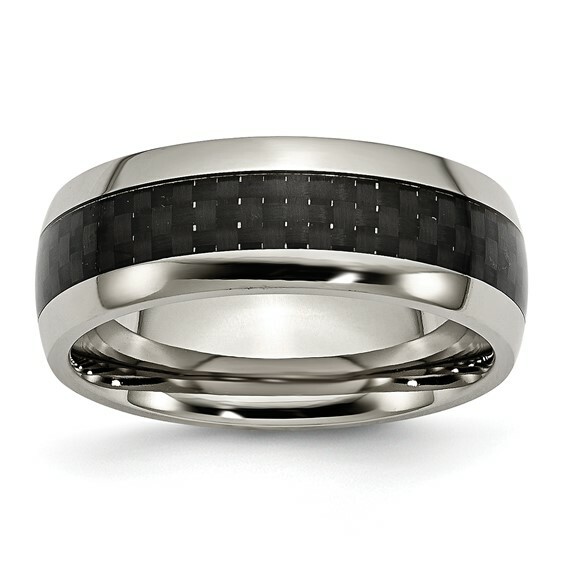 Polished domed titanium ring features black carbon fiber in center. Width: 8mm. Comfort fit. 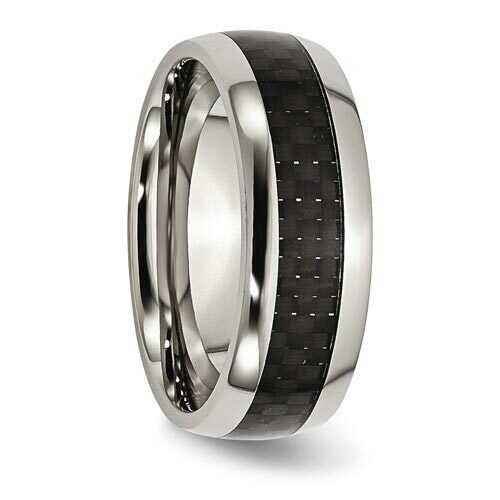 Made of commercially pure [CP] titanium in China. I emailed the company about exchanging my product because it was too big. I got no reply.